The trout have been hacking into the fry and have been caught on all methods fly , spinner and worm! The boat fisherman have seen the best of the action with Swimming Pool, Grubhole and Four Tree bay seeing the best of the action! Tim Roberts from Preston fished intermediate lines and cats whisker to land 4 cracking brownies to 3lb+. John Knight from Darlington also fished fry patterns on a sinking line and took 3 Brown Trout to 2lb+. Meanwhile Peter Parker from Lancaster fished spinner and worming tactics and landed 3 nice fish to 1lb 8oz. Gary Sparks from nearby Barrow in Furness also landed 3 nice fish to 2lb+ on similar tactics! Prospects for the forthcoming weeks looks excellent, with all this mild weather about. But don’t forget there is a strict catch and release policy on the Brown Trout until 15TH March! The Pike fishing has been fantastic.We have had the best start to our Pike season in recent years with many fish being reported to 20lb+. Lures and deadbaits have both been working well! Ben Mathews landed a brace of 13 pounders on static deadbait from the boats. Also Drew Mcwilliam fished lures from the boats and took 5 nice Pike to 21lb 8oz! Ian Bland landed a nice 15 pounder to lures, again from the boats! John Hine took 6 to 16lb on fly, again from the boats. Meanwhile Alex Roberts and Barry Robinson landed 5 to 14lb on lures. Fonz Howard landed 2 to 15lb on deadbait from the bank. Chris Harris took 6 to 15lb on lures from the boats. Andrew Gaunt landed 5 to 14lb on lures from the boats. To cap it off Reece Nicholson from Carlisle has landed many Pike on static deadbait to 21lb from the car park banking (see attached photo). 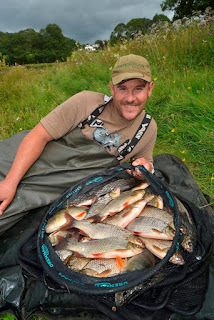 The Coarse fishing has been very good recently, with 20, 30 and in some cases 40lb+ bags being reported. We are now open year round for the coarse fishing and tickets are only £10. Quiver tipping and long range feeder tactics have been the best approach, with the car park and the boathouse on the Eastern bank being the best pegs at present. 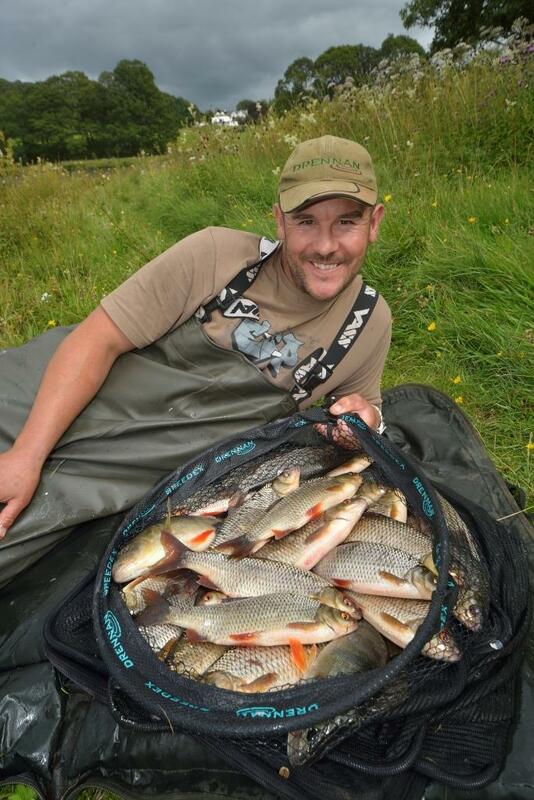 One angler that had a successful session was North East specialist Simon Ashton, who landed 40lb+ of Roach, Perch and skimmers! (see attached photo).